Your baby will spend more time on his/her crib mattress (or so we hope), than anywhere else. You want to make sure that the mattress you choose for your little one is the safest and of the highest quality. The mattress you choose should be free of harsh chemicals which will not pollute your little ones airways as they sleep. Pick a mattress that was designed specifically for babies so you can be sure it provides the support that their growing little body needs. And most importantly, it shouldn’t cost you an arm and a leg. There are a few really well made crib mattresses that are affordable and have amazing quality. Moonlight Slumber mattresses are great. They have many different crib mattresses to choose from but the best bang for your buck I would have to say is the Little Dreamer Duel-sided mattress. The mattress has a very firm side for when the baby is an infant and on the flip side is a more comfortable and deluxe feel for when the baby is a little older. The mattress is a foam mattress but it is very firm which is important to prevent SIDS. 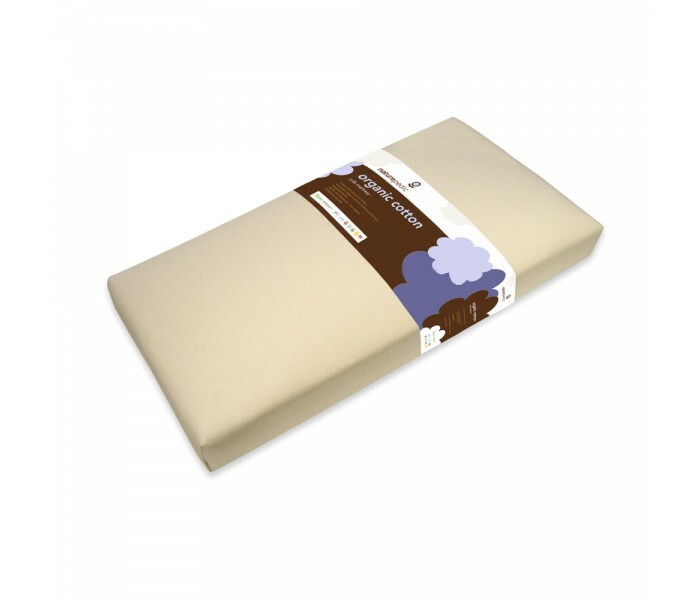 It is also lightweight which makes changing sheets (especially in the middle of the night) easier. It is free of the harsh chemicals and all the nasty things you don’t want in your child’s bed. Moonlight Slumber mattresses are American made and are VOC Tested (Off-Gas), Performance Tested, and Material Content Tested under their Green Safety Shield Testing Program. They are Vinyl / PVC free, non-toxic, hypoallergenic, and made with the best combination of earth-friendly products. Naturepedic mattresses are GreenGuard Gold certified to have the lowest of hash chemicals and VOC’s (volatile organic compounds). They use only certified Organic U.S. grown cotton as their filler. The waterproof versions use Polyethylene which is a plastic that is used throughout the food packaging industry for its purity and non-toxic properties. It has a very simple molecular structure that does not require chemical additives (as opposed to vinyl/PVC) and is favored most by environmental groups. A non-GMO Potato-Starch PLA batting is used as an alternative to petroleum based products. They use organic cotton as a flame retardant instead of hard chemicals and it meets all of the Federal and State flammability standards. They have 3 different series to choose from each with a few different options and variations to fit your specific needs.